How can you change careers safely and securely? Let master career change coach, Unre Visagie, show you how to approach your career change for maximum gain. People that follow the Career Maker process typically earn the same and sometimes even more after their career change. This happens because they clearly communicate the skills, resources and attititude they bring to their new job, career and company. We are talking today about careerdevelopmentplan.net and its product: Career Maker System. 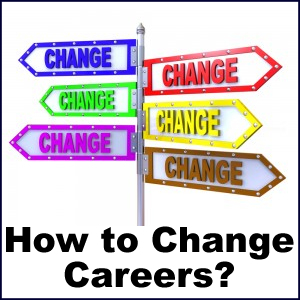 This is a safe, secure, proven and now foolproof system on how to change careers. Change careers safely, securely, calmly and with a plan. The issue is the plan can only come from you. Or shall I say the content of the plan must come from you. We have found over the years that the thing that stops most people is fear, fears are from perceptions, they are not real, they are just perceived. It’s really important to know that these fears are never real. FEAR simply stands for False Evidence Appearing Real. Fear generates perceptions of risk, huge risks, and the risks are perceived since the fears are perceived. One of the many fears is fear of the unknown and fear of failure. Fear of failure, where FAIL is a First Attempt In Learning. During everything we’ve learnt in life, from walking, talking, bicycle riding to driving a car, we have failed, and we have learnt from this failure. The Americans in California call it very nicely failing forward. With bicycle riding you even lost some skin. What happens to people is that they feel safe in some job or career, and they perceive that change is going to mean losing that safety, instead of the view that change creates new safety. You can see it as a box that you’ve got to escape, or a prison, and all you need is the key because the key to success can only work from your hand opening the door from inside. It can never be opened from the outside. The other way to look at this whole safe career change is to realize there’s a lot you can see up here that you cannot really touch. It’s the glass plate principle, you feel you can touch it but you bump. What you bump against is that glass plate or the box or the prison that consist of these perceptions and fears which are not real. When you look at career change, midlife career change, change at 40, it is an issue of the work you do, the job within which you do the work, the company within which you have the job, and a company is always part of an industry. If you can get this aligned to suit you, life must be very close to perfect. We like to break into a second area where your work aligns with your job and then with your long-term career aims, and if that aim is clear it’s like a beacon you put out there. You can publish it on linkedin, you can tell your friends, you can send letters, and all the people you know who know people can send it, because you are clear. That brings us to the challenges of career change in this model that I have briefly touched on. The first challenge is to reach this clarity, and that is why part of the process is to search for information, prepare the information, and choose where you want to be engaged: job, company, industry. Make sure it lines up with your long-term career, so that you continuously aim for your career beacon. All of us can do that. We have achieved this with thousands; thousands in our companies, because we realized that when people have this alignment and they have sufficient new challenges their productivity jumps. We also realized that if we can get people productive quickly it is very beneficial for the company. It was very expensive to hire new people; we had to get them productive quickly. This is where these processes were born. The processes have been honed during the last 12 years in coaching at a high end but we have engaged in a lot of pro bono work at schools, universities and communities as well. I must admit the communities were the toughest, that is where the processes really got simplified, and became foolproof. Clarity is critical. That clarity must be prepared and communicated and the alignment must be kept. Through communication you clearly engage the company and industry, you engage the teams you work with, and you communicate and engage with the people around you. A young lady, Laura, came to me and said: “My husband says if I keep on working in this company I’ll be stupid, I must leave immediately.” I sat down with her and we went through this process, we looked at the plusses in the company and we look at the minuses in the company, we made a balance sheet. She went home and told this new story to her husband. As it turns out, she was mostly focussed on the issues and problems that she had, and as we addressed a lot of the problems, it helped clear the minuses. Afterwards they said that if you leave this job you’ll be a fool. It is a change in perception, using the information, preparing the information, communicating the information. You will hear those three steps in many different models and guises, but it’s always just the three steps. Get hold of new information and facts, organize the information, and communicate what you’ve organized. It’s always just three steps to maintain alignment, provided you know what you really want, what makes your eyes light up, what makes you happy to go to work so you never feel like you work a day in your life. I sometimes almost feel a bit guilty to acknowledge that for nearly 25 years I’ve been working in that space where I never felt for a moment that I am working. 20% to 30% goes into work I would like to delegate. I try to delegate since I believe if I don’t delegate I steal somebody else’s work, but you can’t always delegate so a percentage will always be tough. You can view this alignment and clarity as overcoming the challenges which makes your fears disappear. It’s not as if you address them, by getting clarity and information the fears simply go away. The following is an equivalent model that you can use. The purpose of your career, your career aim, your career beacon during the short term is to choose the work you do, in the job you do, for the company and the industry you want to do it in. This should align with your long-term personal wishes for earnings, career, how much you work, where you work etc. That means that strategically you keep your long-term career aim, it’s your long-term career vision and mission, almost like a company vision and mission. In the short-term your objectives and your tasks always align with your strategic plan. That plan, just like in any company, you must be able to communicate succinctly: why and what about your career, why and what about your job, why and what about your industry and why and what about your choice. All of this is about you; you are the centre of this always. However, if you put yourself first you come last. What is important is the service you’re going to deliver to the team around you, your company and your industry, and back home. From that service you will get your returns. Always look at what you can contribute, how you can grow what you contribute. Look at your store of goodies that you can use to be productive, that store will grow very fast. You can choose where you apply your store, who buys in your store what you offer. We hope we’ve made it clear that a career change at any time in your life can be a safe and secure process and your fears could disappear, provided you realize you’ve got to be aligned, you address the challenges, you communicate with the people around you, your purpose of career, your career beacon and your career aim is clear. You can have a long-term plan to keep you aligned with your work, job, company and industry. I hope I will see you again down the line in our Career Maker System which is foolproof.